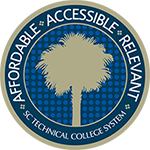 The Division of Economic Development is a new but clearly essential part of the SC Technical College System. The division is dedicated to ensuring South Carolina’s competitiveness as it relates to workforce education and training. The division works to not only attract new and expanding companies to the state but also provide the workforce development tools necessary to make certain they grow and prosper in South Carolina over the long term. The division is touted as providing a comprehensive solution for companies looking to grow their workforce in South Carolina. 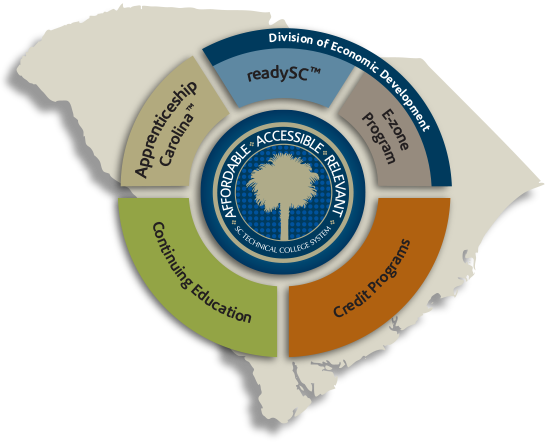 Housed within the division are the System’s nationally renowned statewide programs — readySC™ and Apprenticeship Carolina™ — as well as an unparalleled creative and strategic development team committed to providing cutting edge solutions for clients. readySC™ works closely with companies to provide the recruiting and training assistance they need to get up and running. Apprenticeship Carolina™ helps their workforce continue to grow by guiding companies through the registered apprenticeship process from initial information to full recognition in the National Registered Apprenticeship System. The training associated with the work of these two programs is directly correlated with jobs in our state. 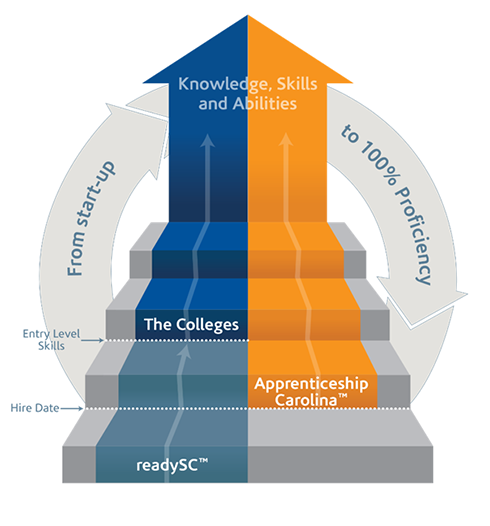 Just last year the division, through readySC™ and Apprenticeship Carolina™, touched the lives of thousands of South Carolinians providing them with the skills needed to acquire new jobs or grow in their current positions. The division is integral to South Carolina’s economic development success. The unrivaled recruiting, training and workforce development tools we offer bring our state as well as the organizations that choose to relocate or expand here the opportunity to grow and prosper by remaining competitive. South Carolina offers an unparalleled comprehensive solution for our client organizations. From your initial start-up and early production goals to your organization’s long-term growth strategy, South Carolina offers a comprehensive workforce solution custom-designed to meet your needs. Our internationally renowned programs — readySC™ and Apprenticeship Carolina™ — along with our robust technical college system provide the training and education necessary to build a competitive workforce ready for today’s demands and tomorrow’s challenges.